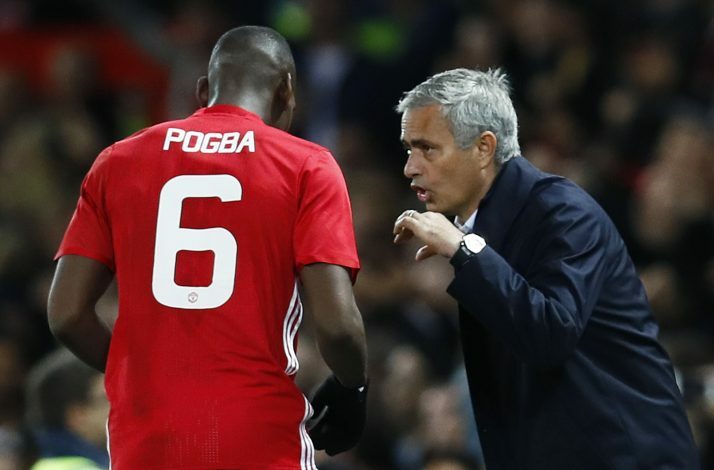 Jose Mourinho has ruled out the speculation suggesting that Paul Pogba could be sidelined for 12 weeks, following a hamstring injury he sustained in the Champions League opener against FC Basel. Recent reports claimed that Paul Pogba, who damaged his left hamstring, might need 12 weeks of rehabilitation, and as a result, he will miss five Champions League games, along with United’s Premier League meetings with Liverpool, Tottenham, Chelsea, Arsenal, and Manchester City. However, in the pre-match press conference following United’s comprehensive 4-0 win over Everton on Sunday, Mourinho denied these reports by stating: “I don’t know if it is 12 weeks or 12 days, honestly. Any comment or any new rumour is totally wrong because we don’t know if it is 12 weeks or 12 days. “The player was diagnosed initially after the match because of the conditions of the muscle and the bleeding. The decision was one more week to wait to see really clearly in the scans, that I mentioned, of the injury. Pogba started the season in an emphatic manner, with two goals and two assists in the opening four Premier League matches. Considering his fast start to the current campaign, the latest setback will be a massive loss for Jose Mourinho’s men. The scan result is yet to be known, but there is no doubt that the in-form midfielder will miss the League cup tie against Burton Albion on Wednesday, and is unlikely to be fit to face Southampton in the Premier League on Sunday.